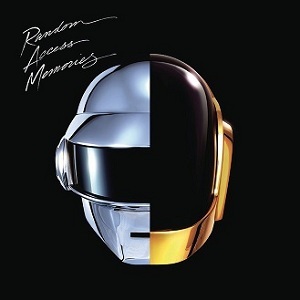 As many predicted, Daft Punk’s new album, “Random Access Memories,” has debuted at No. 1 on the Billboard 200 chart. The 13-track release pushed 339,000 copies in its inaugural week out, reports Nielsen SoundScan. This is the French electronic duo’s fourth studio album. On top of “Random Access Memories” earning the duo its best sales week ever, the album also earned the second-largest sales week of the year, coming in second next to Justin Timberlake’s new album, “The 20/20 Experience,” which pushed 968,000 copies its debut week out in March. Pharrell Williams and scored Daft Punk its first top 10 on the Billboard Hot 100 chart. The track also marks Daft Punk’s biggest radio hit to date, landing inside the Top 30 on Billboard’s Radio Songs chart last week. Daft Punk’s highest-charting album before “Random Access Memories” was the duo’s soundtrack for the 2010 movie “TRON: Legacy,” which landed at No. 10 on the chart with Nielsen SoundScan counting 71,000 units sold its debut week out. In other Billboard 200 chart news, the National’s “Trouble Will Find Me” debuted at No. 3 this week, and 30 Seconds to Mars came it at No. 6.